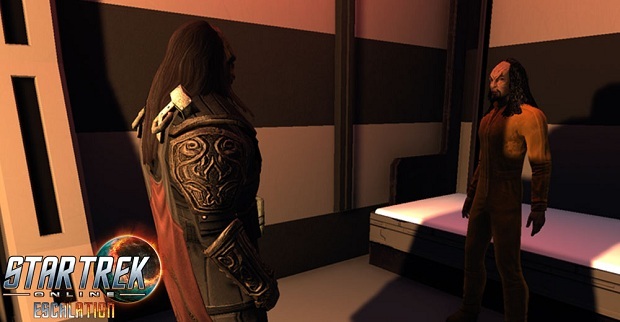 Despite their intimidating natures, Klingon jails aren’t very well-known for their security. Kirk and McCoy got out of one in Star Trek VI easily enough, and it’ll be up to Star Trek Online players to stage a jailbreak of their own in today’s Season 13.5 update. In “Brushfire,” captains will heed the call of General Rodek, once again voiced by Star Trek actor Tony Todd, to rescue General Martok, the former Klingon Chancellor, portrayed by his Deep Space 9 actor. J.G. Hertzler. Martok’s presence has drawn the attention of the Tzenkethi, who will likely also have a part to play in his extraction. Also in this update, captains at level 60 can complete challenges every few days via the new Endeavor System to earn rewards. For the even more profit-minded, the Admiralty System now includes Ferengi missions, for captains level 52 and above. Making gold-pressed latinum has never been so easy. There’s also the usual mix of fixes and tweaks in this update, which you can read about on the Star Trek Online site. The update goes live today for PC players, with a console release to follow.